Technical Specification Item USA Standard Sieve Type Plain Weave Screen Material 304 Stainless Steel Frame Material Brass Mesh Size No. 1000 Mesh Size Range Fine Opening Size No. 1000 Outside Dia. 8' Overall Depth 2' Standards ASTM E11 & AASHTO M92 This listing is for each. 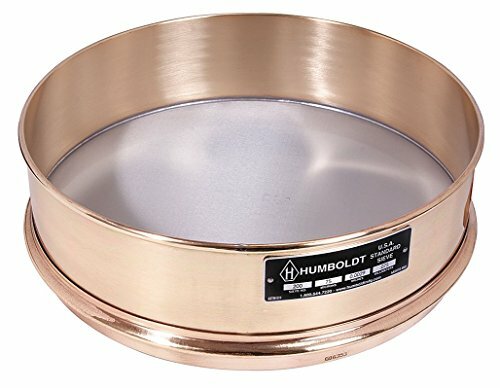 If you have any questions about this product by Humboldt, contact us by completing and submitting the form below. If you are looking for a specif part number, please include it with your message.